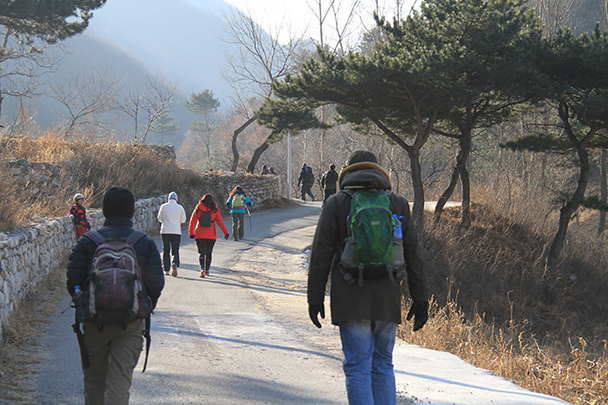 In Brief: Photos from a winter hike from Jiankou to the Mutianyu Great Wall. 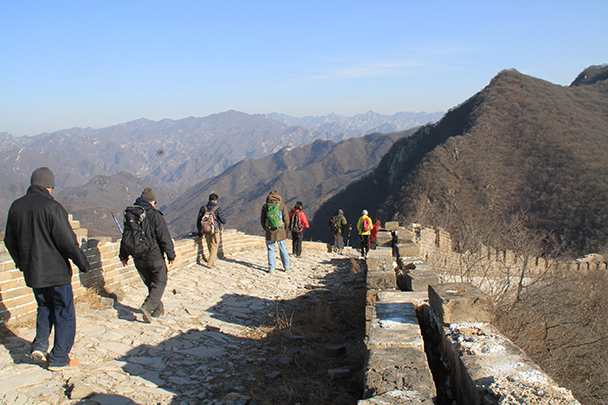 In the week before Christmas we did a lot of Great Wall hikes. 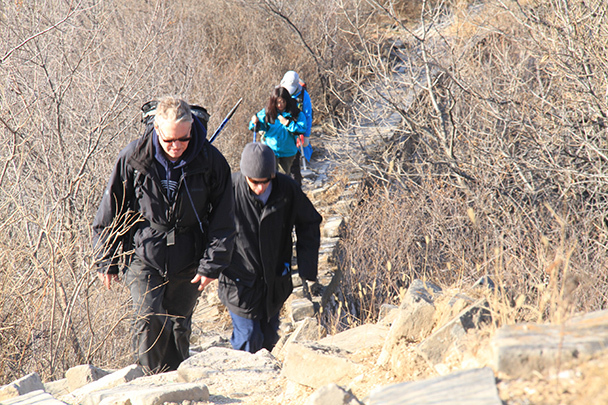 For this walk, we started at Jiankou and climbed up over the big hill to finish up at the Mutianyu Great Wall, first following an unrestored section of wall, ending up on the restored section at Mutianyu. 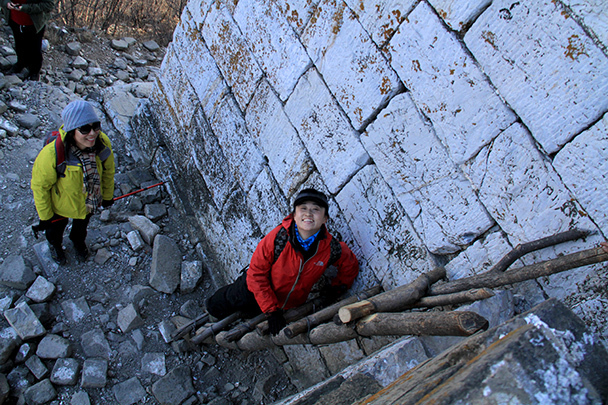 Starting off at one of the smaller villages at Jiankou, we followed a country road up into a valley, and then climbed a steep hill trail to reach the Great Wall. 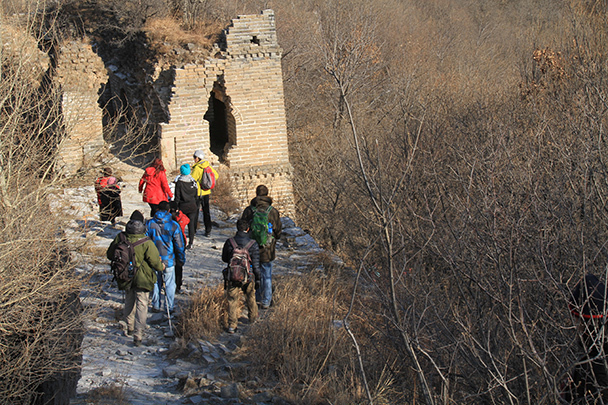 The Great Wall at Jiankou is largely unrestored, and offers broad views of the Great Wall following steep and narrow ridgelines. 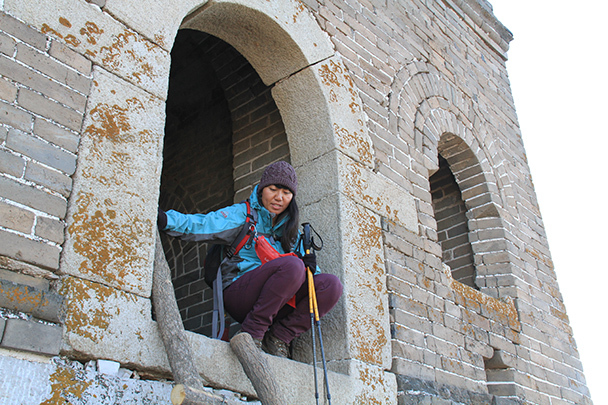 We followed the wall east and ended up on the Mutianyu section of the Great Wall, a restored section that is popular with tourists. Walking both the restored and unrestored sections is a good way to get a look at the Great Wall as it might have been when first built, and as it is now, after 400-odd years of weathering. 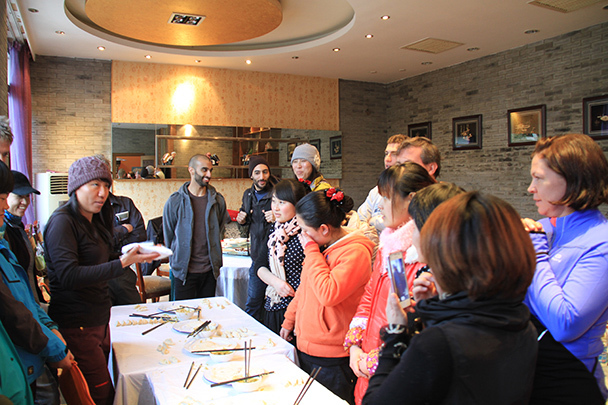 Because it was almost Christmas we'd decided to hold a dumpling-making contest! 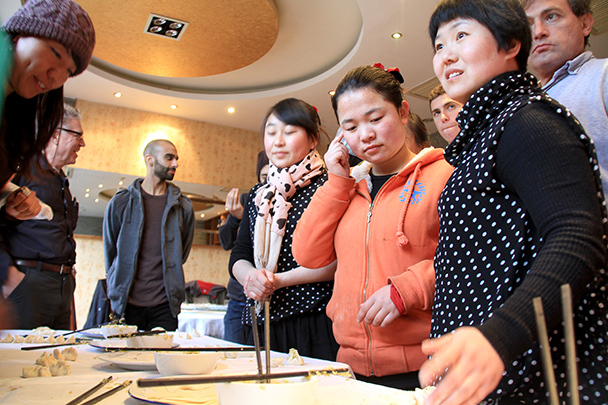 First our guides showed everyone how to wrap the fillings in the dumpling skins, and then it was time for the competition. Prizes were awarded for the most dumplings made during a set time, and for the best-looking dumpling. Congratulations to the winners! 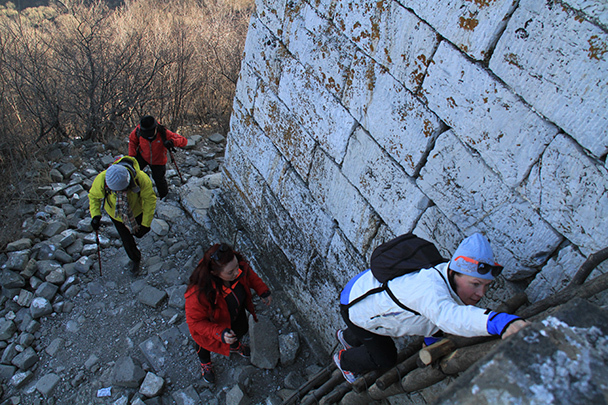 To get up on to the Great Wall we had to use this creaky wooden ladder. Super guide Jun leads the way into the tower. Another ladder – not quite as tall this time. 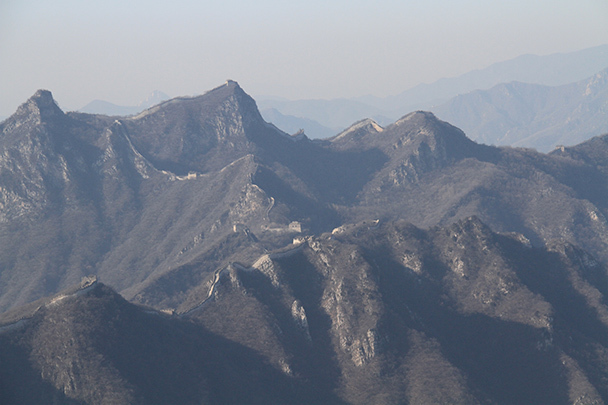 A view of the southern section of the Great Wall Jiankou. 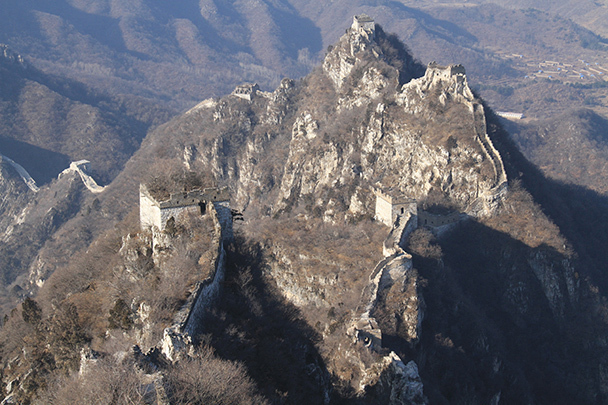 Great Wall towers on tall cliffs. 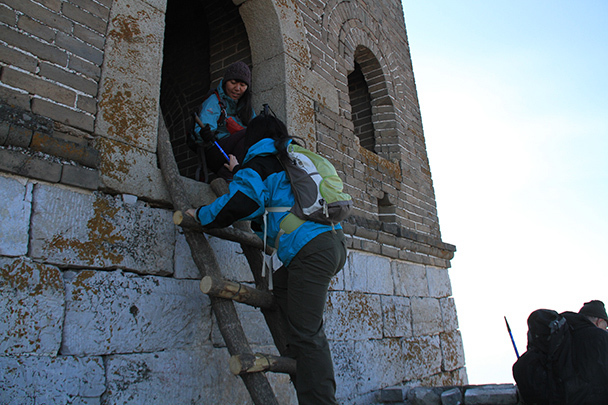 After a break at the first tower we continued our hike. 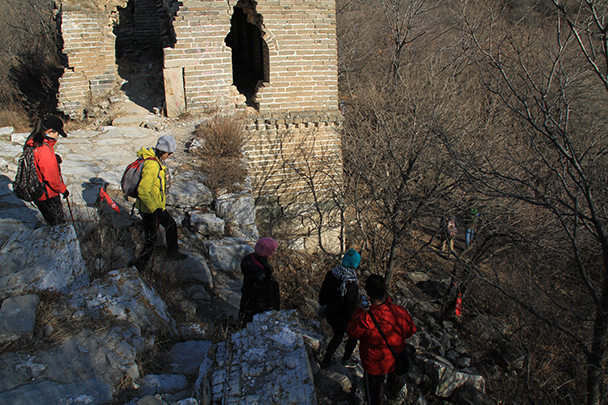 Hiking through a wild section of Great Wall. Here we had to make a choice about climbing up a really steep section or taking a shortcut through a forest. We decided to go for the shortcut! 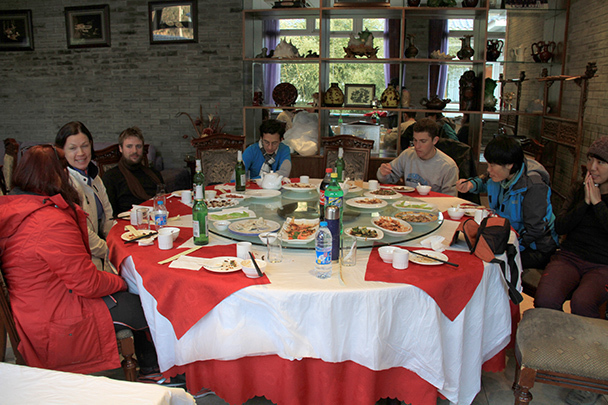 At a countryside restaurant for a big meal after the hike. 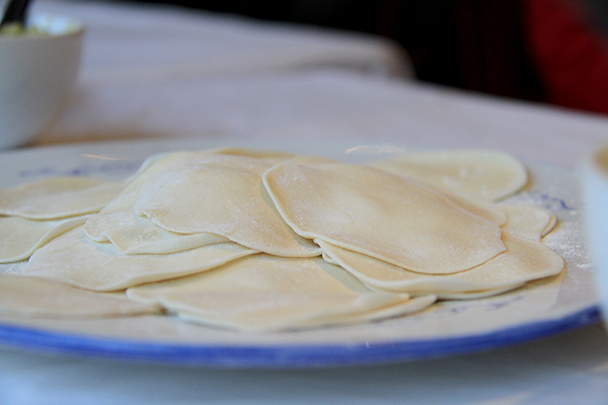 These dumpling skins were prepared for our dumpling-making contest. Dumplings all made; time for the judges to pick winners. The restaurant manager said it was a tough decision. One of the prizes: a Beijing Hikers T-shirt. 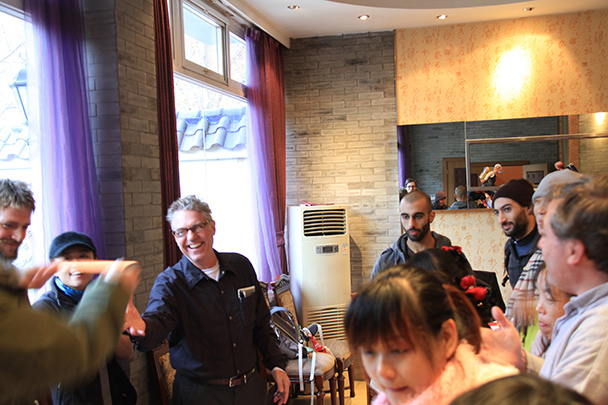 Another prize winner, with a 300 RMB hiking voucher. 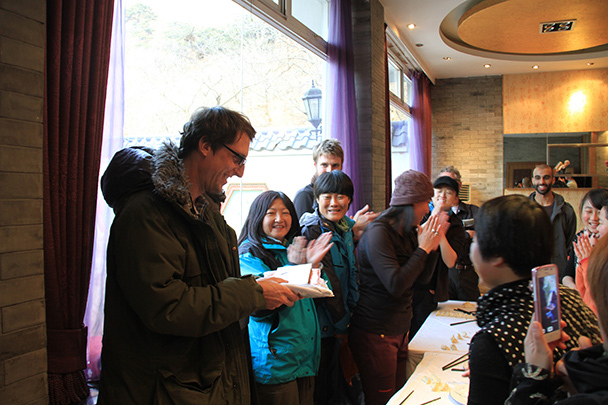 The winner of the ‘Best Dumpling’ award receives the grand pize – a T-shirt, a book, a hiking bag cover, and a voucher for 100 RMB. In Brief: Photos from a walk along wild wall on a windy weekend.